From the places we play to the water we drink, rivers are a foundation for our outdoor industry. Rivers tell the story of our nation’s history and they run through our culture – our music, literature and art. Clean water is essential to our health, and rivers provide more than two-thirds of our drinking water supplies. And every year Americans spend $97 billion on river related recreation and tourism. These are just some of the reasons groups across the country are working to keep our nation's rivers healthy and flowing. How Can You Help Protect Your Favorite River? As we know the outdoor industry is big business and fuels over 7 million of jobs in the U.S. According to the Outdoor Industry Association outdoor recreation spending is the 3rd largest sector in the U.S. economy after financial services and health care coming in at $887 billion a year. Outdoor recreation is an economic powerhouse across the U.S. In fact, river-related recreation and tourism contribute more than $97 billion to the U.S. economy per year and that figure grows every year as more and more people spend time enjoying the nation's rivers. The Colorado River is vital to the economies of the seven-state region through which it flows, supporting $1.4 trillion in economic output, $871 billion in wages and 16 million jobs annually. Natural capital within the Columbia River Basin provides $198 billion in value annually in food, water, flood risk reduction, recreation, habitat, aesthetic, and other benefits. Many of America's rivers are endangered due to drought, overuse and water quality issues. Learn more about the challenges our rivers face and how you can help below. Many organizations across the U.S are working to protect, save, clean and manage our rivers. Learn how you can impact the health of rivers in your area here. Business for Water Stewardship is hosting Day 2 lunch on Conservation in the West. Thursday, January 31, 12:00-1:00 p.m. in MR405. 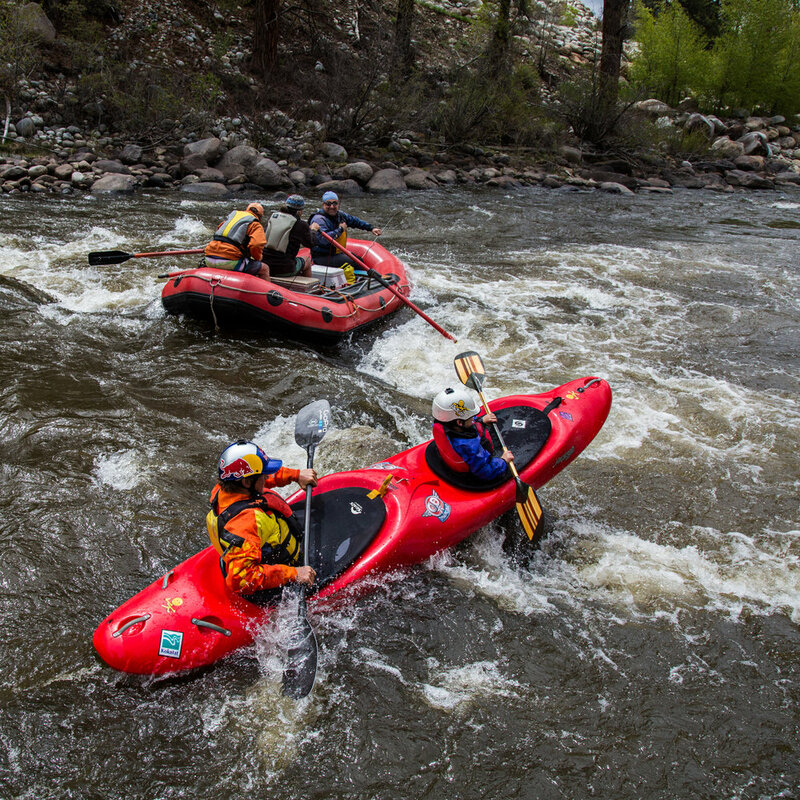 Many groups have contributed to the effort to highlight rivers at Summer Outdoor Retailer. Find out how you can support these river groups here. “Each of us is responsible for being a good steward of our water in Colorado and across the country. Clean water and healthy rivers are a critical life source for our economy."